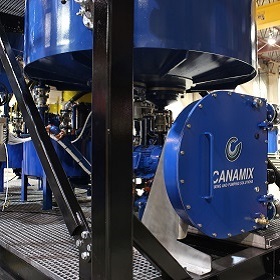 Canamix Agitators & Peristaltic Pumps – Sepro Mineral Systems Corp.
Canamix Processing Systems Ltd. is a Sepro Mineral Systems Company that specializes in the production of high quality agitators & peristaltic pumps. 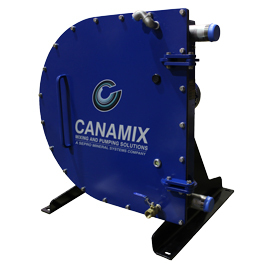 Canamix manufactures a range of top entry agitators from .37kW(.5HP) to 350kW (475HP) for use in the mining, chemical, pharmaceutical, waste and water treatment and paper industries. Visit www.canamix.ca/agitators for more information. 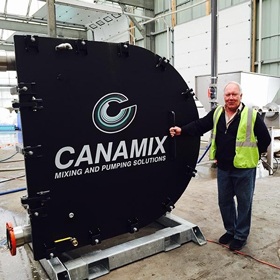 The Canamix range of peristaltic pumps are fully manufactured in British Columbia, Canada. The extensive range includes the largest pump of this type in the world. 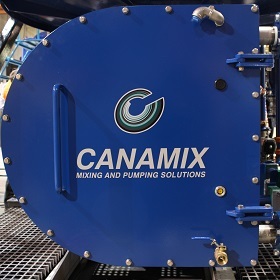 The C150, with a 150mm (6”) discharge, produces a delivery rate up to 110m3/hr and discharge pressure up to 10 Barg. The range commences with a 10m (3/8”) C10 pump, producing 210 l/hr. 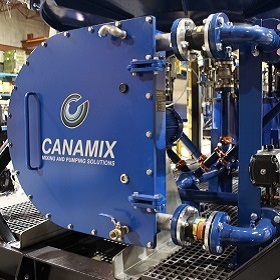 Visit www.canamix.ca/peristaltic-pumps for more information.